This website belongs to Lucien X. Lombardo. I recently retired from Old Dominion University's Department of Sociology and Criminal Justice after 35 years. I came to Old Dominion University after working for 8 years as a teacher in Auburn Correctional Facility (Prison) in Auburn, NY. At one of my retirement receptions I noted that after my first year at Old Dominion I sat down on the floor of my small apartment, in the middle of exam papers and materials from my recently finished dissertation and asked myself: Is ODU a place where I can do the things that I want to do? At that point I didn't know what those things might be, but I guess the question was more about the feeling of my department, my colleagues and the University. My answer was YES! Fortunately this proved to be correct. One of the nice things about the past 35 years is that I have been able to follow my interests where ever those interests led. I have always been interrested in curriculum and during that first year, I managed to help our department revise our corrections curriculum in a way that still makes sense today. 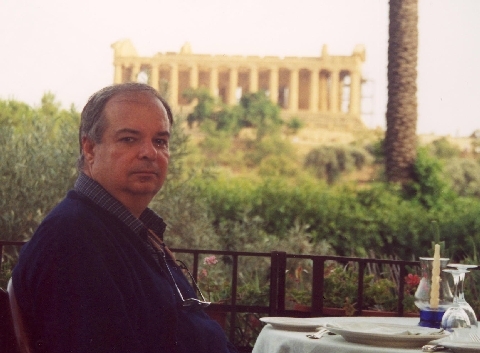 On this website, Lucien Lombardo's Place, I will try to bring together information about my experiences, work and interests in a way that might prove helpful to others.